A few days ago I made a two sentence public comment expressing “disappointment’ at a single position taken by a public servant. This provoked a verbal attack from a person who felt his hero was to be followed dogmatically. The verbal attack was trying to label me with names of groups which he is emotionally driven to dismiss without any consideration of argument nor logic. We live in the ‘information age’ but ironically, a great number of people much prefer labeling people to learning anything from them; These people prefer the mindlessly shouted slogan to any consideration of opposing thought. These people have long been conditioned, the first thing to do when encountering a different thought is Label it with a pre-provided name, so it can be dismissed without any further consideration. This is the stock and trade of political parties and the 24hr media, and it works like magic to generate rabidly loyal fans of their home team, standing on their sidelines shouting at the other side, which they have long been told to label, dismiss and hate. They do this while seeking the cocoon of comfort provided by social and media sources that always affirm their every preconception. It is pointless to speak with a person who must label everyone who doesn’t agree a “liberal.” It is an equal waste to speak with the numerous people who have accusingly labeled me just the opposite. Both of them are afraid to think and consider, and have to come to the conclusion I am an American who doesn’t need to agree with them. They are much like a 12 year old boy in an Islamabad madrasa, conditioned to dismiss and hate anything that is labeled ‘infidel.’ The only difference being the boy has no choice, and adults in this Country have to willfully chose the path of lazy ignorance. I have written a number of very frank stories, like this one: ERAU – models of integrity #2, that explain why every aviator has a moral and ethical responsibility to learn everything he can from any knowledgeable source, not just ones he ‘likes’ or hold the same social opinions as he does. This is not a small point. Aviation is far too serious a task, and it has no room for people who’s knee jerk emotional reaction when encountering different experiences and perspectives is to label and dismiss them. The branch of aviation which this most applies to his homebuilding. Building your own plane and learning how to fly it requires so much learning that is preposterous for anyone to expect success while dismissing opportunities to learn. I was 27 years old when I came to understand this, and I have been willing to devote my entire working like to this subject. If the average age of a new homebuilder is 55, and he works outside aviation, he must decide now, to consider and learn, as the time line is not in his favor, and this task doesn’t generate second chances. If he is building a plane with a passenger seat, he has a moral and ethical obligation to put away the lesser parts of his ego and get on with the task of becoming a better, more thinking aviator. Sadly there are many people in aviation who will not learn from, or even listen to sources of information they can dismiss by labeling. Your best defense against them is to give them a very wide berth….and make damn sure you resist the human weakness to prefer the company of people that just reinforce perspectives and opinions you acquired without inspection or consideration. Be open minded to learning from any source, like your life depends on it….. because it does. I have no issue nor conflict with any person who thinks differently than I do, I operate under the assumption that most people do. The only conflict I have is with people who somehow feel that not thinking at all, just living in an artificial world of labels, slogans and judgments is better than considering each person they meet as an individual, each with the right to see things differently. -ww. If you told the general public that a candidate for the presidency made the above statement, I am sure that 90% of them would guess the words above would be from social progressive Bernie Sanders, and dismiss them. In reality, these were actually said by Teddy Roosevelt in the 1904 election, and he was very proud of calling himself a social progressive. For those who need to label and dismiss, finding out an American hero on Mount Rushmore doesn’t fit in a neatly labeled box causes stress. To the open minded, it is a chance to expand one’s understanding. Above Teddy Roosevelt and Booker T Washington. People who like their history to fit with neat labels will have a very hard time reconciling Roosevelt to their mythology. TR was never supposed to be president, the power brokers of the day recognized his popularity, and hoped to benignly store him in the Vice Presidency. A single 6 gram bullet from a pathetically weak .32 S&W was just enough to change the course of American history. Within weeks of being sworn in, TR began a long series of radical reforms and actions, starting with having Booker T Washington to dinner, an act that outraged southerners. He went on to draw the hatred of the wealthy and powerful, the connected and corrupt, and every other group that thought they were more important than the American people. He was far more of a political radical than any candidate running today, including Sanders. Anyone who has been to our home can tell you that it is lined with floor to celling bookshelves, that even extend onto the porch. Much of it is very old, like my great aunt’s period collection on the Spanish American war. I spent 11 years in college including earning a degree in political science because I like learning. I have never bought a TV set in my life, for the same reason. One shelf in the living room has 4 feet of books just on TR, maybe 20,000 pages, I have read it all. Perhaps saying this might dissuade the next Fox tv news viewer who hasn’t read a book in years from trying to label me an “Ignorant Liberal” just because I will not blindly kowtow to his or anyone else’s dogma, but I doubt it. Neither will writing stories like Thinking of Mike Holey, an Aviator and a friend. have msnbc viewers change their views on ‘guns.’ You can’t communicate with people who have labeled and dismissed you, only people who are willing to read, think and consider. This also happens to be the people who get something out of building and flying. 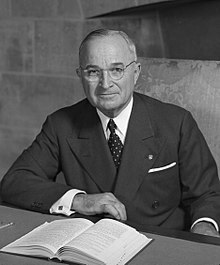 People comforted by labeling all Democrats weak on defense have to conveniently ignore that the only person in history to order the use of nuclear weapons in combat was Harry Truman. He did so without hesitation. When at the conference table at Yalta, he was told project Trinity had worked. 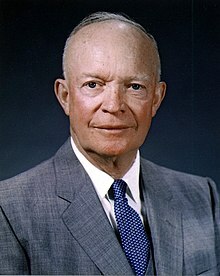 From that moment forward there was no question he would use the bomb, as it might remove the need to give concessions to the USSR in Europe to gain their participation against Japan. William Clifford, The Ethics of Belief – 1877. For as long as I have been working with Corvairs, I have had a segment of ‘experts’ tell me their opinions about the Corvair exhaust such as ” It would make 30% more power with headers” All of these people were basing their misguided theories on ‘eyeball evaluations’ and the were just sure they were right. I knew they were wrong because I have testing on my side. Below is a very interesting video showing how eyeball evaluations of exhaust systems are worthless. It shows a very potent 6,000 rpm V-8 on a dyno, in back to back tests where they flatten header tubes horribly, and it has next to no effect on the output. And that is on an engine making one and a half HP / cubic inch. The effect is even lower on engines like your Corvair flight engine. Engine exhaust requirements depend on cylinder head design and camshaft design. Typically, low rpm engines like your flight motor, have modest cam profiles with short duration, to build torque. These engines are not punished for having the backpressure of a muffler, nor are they rewarded for having perfect free flowing balanced tubes. In our application, the systems we use are the correct balance of reasonable flow, matched to the cam profile, with the two critical factors: Low surface area and stainless construction to prevent it from heating the inside of the cowl, and having low weight and a stiff design that will not resonate and crack. The systems we offer are made of the best materials, with the best welding, to long proven designs. Sorry if reality offends the ‘eyeball evaluation experts’, but that is reality.